In this episode, two professional athletes who have been at the tops of their leagues for a long time join our host, Denise Jones, to tell her about how they chased their crazy dreams and stayed elite. Five-time NFLPro Bowler Ndamukong Suh is a Los Angeles Rams defensive lineman. WNBA Finals MVP and seven-time all-star Cappie Pondexter is the point guard of the Indiana Fever. To learn more, visit Nike.com/LA. In this episode, two people who are not household names join our host, Denise Jones, to tell her about how they chased their crazy dreams. Frank “Nitty” Sessions is the three-time Drew League MVP. Travelle Gaines is a Nike Master Trainer who works with athletes like Todd Gurley, Antonio Brown, Candace Parker, Saquon Barkey and LeSean McCoy. To learn more, visit Nike.com/LA. In this episode, two Olympic Champion sprinters join our host, Denise Jones, to tell her about how they chased their crazy dreams to reach the top of their profession. Michael Johnson is a four-time Olympic Gold Medalist sprinter best known for winning Gold in both the 200m and 400m in the 1996 Atlanta Olympic Games, and for running in Golden Shoes. Sanya Richards-Ross is also a four-time Olympic Gold Medalist sprinter who is now a tv commentator, entrepreneur and proud mom. To learn more, visit Nike.com/LA. In this episode, two former champion teammates and podcast co-hosts join our host, Denise Jones, to tell her about how they learned to be great teammates, how they helped the Cleveland Cavaliers win the 2016 NBA Championship, and how they developed their popular podcast “Road Trippin.” Richard Jefferson is a 17-year NBA veteran who played for the Denver Nuggets last season. Channing Frye is a 13-year NBA veteran and current member of the Cleveland Cavaliers. To learn more, visit Nike.com/LA. Russell Wilson, Super Bowl-winning quarterback for the Seattle Seahawks, takes us into the mindset of a championship athlete. How does Russell prepare, both mentally and physically, for a game where it’s all on the line? Russell shares the importance of flexibility and what he thinks about during the quiet moments before a big play. To learn more, visit Nike.com/LA. In this episode, two CrossFit athletes and a Nike Master Trainer join our host, Denise Jones, to tell her about how they chased their crazy dreams to reach the top of their profession. - Kara Saunders is a CrossFit Athlete who currently holds the title of Second Fittest Woman on Earth. - Lauren Fisher is a CrossFit Athlete who competes with team CrossFit Invictus. 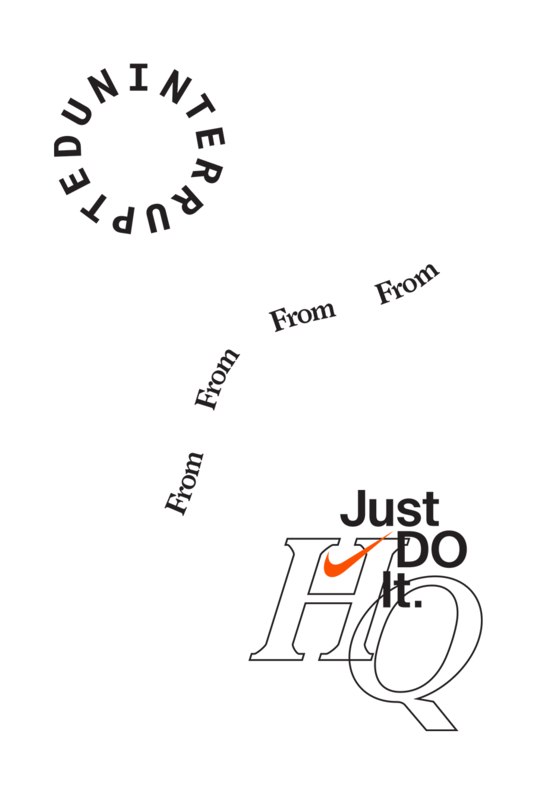 - Kirsty Godso is a Nike Master Trainer based in New York. To learn more, visit Nike.com/LA. In this episode, two NFL stars and a Nike Master Trainer join our host, Denise Jones, to tell her about how they chased their crazy dreams to reach the top of their profession. Rob Gronkowski is a 5-time Pro Bowler and 2-time Super Bowl Champion tight end for the New England Patriots. Todd Gurley, running back for the L.A. Rams, is the reigning NFL Offensive Player of the Year. Brian Nunez is a Nike Master Trainer who works with clients like LeBron James, Kevin Durant and Chloe Kim. To learn more, visit Nike.com/LA. In this episode, three inspiring women join our host, Denise Jones, to tell her about how they chased their crazy dreams to reach the top of their profession, and their advice to others pursuing their own.Leticia Bufoni is the most-medaled female skateboarder -- ever. Laurie Hernandez is a U.S. national team gymnast with two Olympic medals and a bright future. Jeanette Jenkins is a trainer to the stars - both athletes and actors.To learn more, visit Nike.com/LA. In 1988, Nike unveiled "Just Do It," three little words that would change sports forever.To celebrate the 30 year anniversary of that mission statement, Nike is partnering with UNINTERRUPTED to bring you Just DO It HQ, a podcast featuring interviews with prominent athletes and trainers, recorded at Nike's Just DO It Headquarters in Los Angeles, CA.Just DO It HQ is presented by Nike and is an UNINTERRUPTED original podcast with production by Neon Hum Media. To learn more, visit Nike.come/LA.